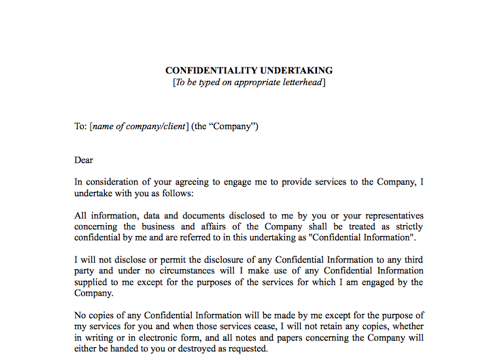 Who can use this Confidentiality Undertaking? 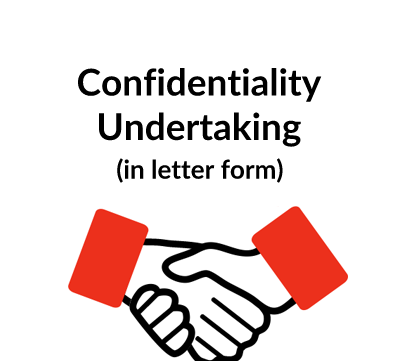 Any business wanting a short confidentiality undertaking from an individual whose services they are about to engage should use this document. By getting this undertaking signed, you will be guarding against the risk of trade secrets or commercially sensitive information being disclosed to third parties. First, the document needs a definition of what is meant by confidential information: make this as wide as possible. Then you need a clear undertaking from the individual not to disclose on a permit any disclosure of confidential information. Also, specify what happens if the individual ceases to work for you: is confidential data to be returned or destroyed. The undertaking should say whether its duration is open-ended or limited in time. What detailed terms does the confidentiality undertaking contain? It is in the form of letter from the individual to the business. It consists of seven paragraphs. This Confidentiality Undertaking (sometimes called a non-disclosure undertaking) is designed for use when a company or business wants to take on someone to provide services but before doing so requires that individual to sign a document confirming that he/she will keep all information obtained in the course of the work will be kept secret and not disclosed to any third party. The undertaking starts with a reference to the individual’s appointment and then defines confidential information as all information and documents disclosed to him/her. The undertaking should be obtained before the individual starts working with the company. The wording of the undertaking is then set out. This is followed by an obligation to hand back or destroy any copies or notes concerning the information when the appointment comes to an end. The final paragraph deals with the governing law and jurisdiction. 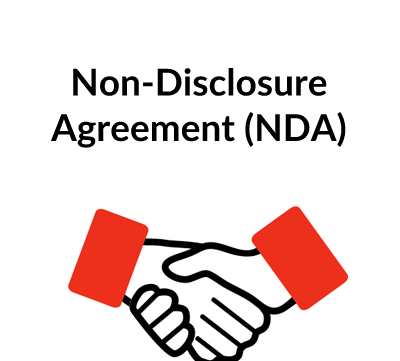 We have other forms of Confidentiality Agreement or Non-Disclosure Agreement, each of which is for different circumstances – see the Explanatory Notes to documents A104, A105 and A119.